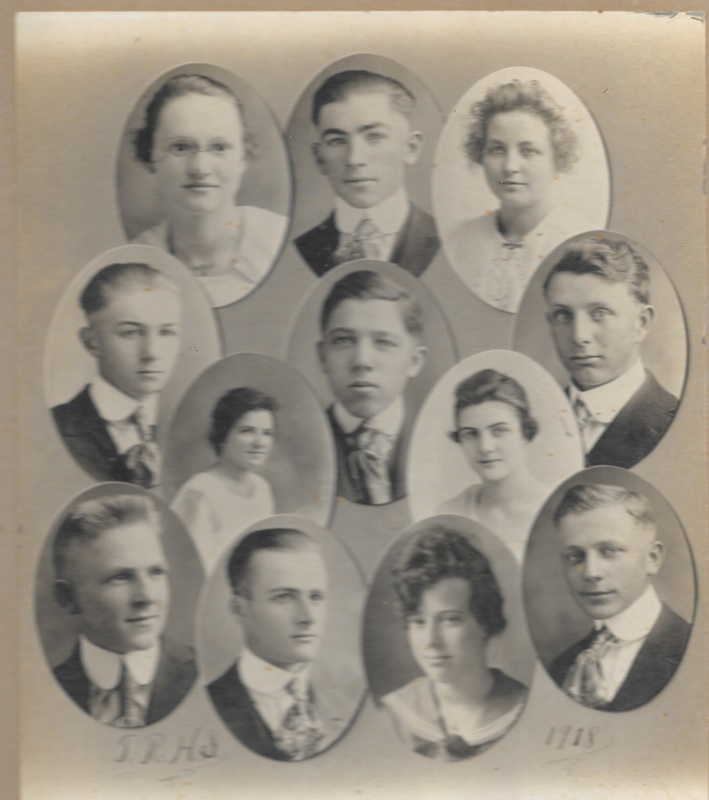 Class of 1918, Photo 82. Top row: Julia Blaha Cabek, Robert Wiar, Albina Sedlak Fidermutz. Middle row: Jess Kovanda, Antonette Colling Kent, Max Glen, Dorothy Phillip Wilson, Vern Talbot. Front row: Harlan Taylor, Glen Kent, Mildred Herrick Mehlin, and Orvin Gold.